We first starting using the TripIt app two years ago to help manage our travel itineraries and once we signed up we wondered, why didn't we do this sooner? TripIt is a travel app that organizes all your travel plans into an itinerary and puts all your trip details in one place. To set it up all you have to do is sign up for your account with the email address that you receive your various travel confirmations in, and the app will scan for these and add them automatically to your account. If it happens to miss an alert or if you prefer to opt out of the feature, you can forward your reservation to [email protected]. When it receives all your travel plans, it magically transforms your upcoming travels into a master itinerary. Once you've set up the email forwarding service, (remember, if you don't want to forward automatically, you can do it manually) you rarely have to think about it again. We simply get an email message saying “We noticed your email and added it to your itinerary.” I then click on “view itinerary” on my iPhone and it takes me to the app with my entire itinerary laid out for me. I get alerts for car rentals, flights, hotel reservations, and we've even received an alert for events. The beauty of TripIt is you can book your travels anywhere be it through different booking sites like Air Canada, American Express, or Expedia.com, any travel confirmation email I have will be picked up by TripIt using my associated email account. It's so simple. 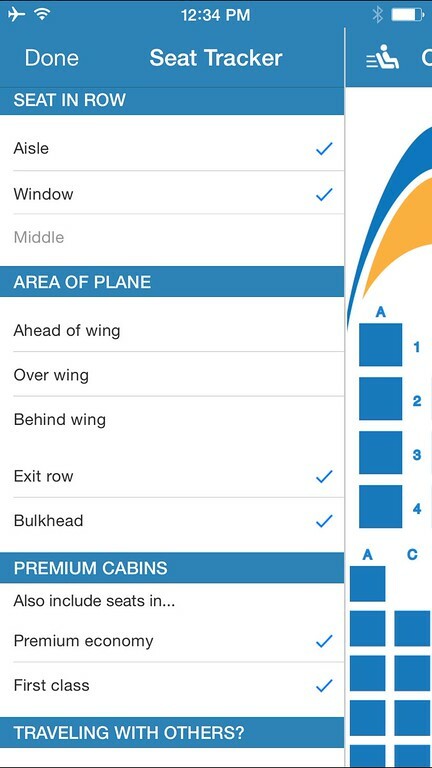 How does the TripIt app make your travels easier? Often times we aren't sure what terminal we're flying from. When the airport parking shuttle asks us and we're not sure, we can take a quick look at our itinerary and see. TripIt tells us what terminal we're flying from and it often knows the gate well before anyone else. The basic plan for TripIt is free and it is great as is, but TripIt Pro takes your travel planning to another level and it is only $49 per year. If you've ever flown through London Heathrow, you know what a pain it is to wait for your gate to be announced. It's a huge airport and often times they announce the gate just a few minutes before boarding and you have to run to the opposite side of the airport! I'll never forget sitting in the lounge waiting for our gate to be announced and getting an alert from TripIt well before it was posted on the airport monitor. We casually made our way to the gate well before anyone else and because we had airline status, we could board the plane before most people even arrived. Our travels were made easier by giving us time to relax and settle in. We fly a lot and there have been many times when we've had tight connections in airports. Recently we had a flight from South Dakota to Toronto with a narrow 25 minute connection in Minneapolis. We were nervous that we'd miss our connection, but when we landed, we received an alert from TripIt that the flight was delayed, so we could depart the plane in a cool and calm manner knowing that we'd make our flight home with time to spare. We've been sitting in the waiting area of our flight that was scheduled to start boarding in a few minutes when we've received an alert informing us of a gate change from the TripIt app. We've been halfway down the hall when we finally hear the announcement that the gate has changed and as usual, we were at the front of the line boarding the plane while the rest of the crowd is still rushing to the new departure lounge. It's put us ahead of the crowd on several occasions. 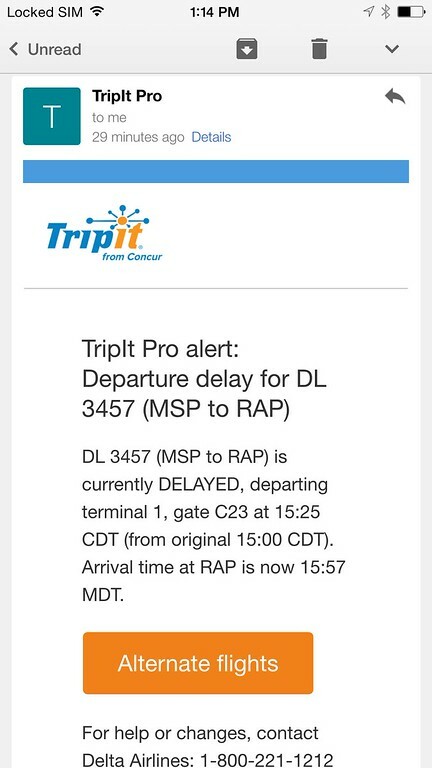 Our TripIt Pro plan sends us alerts 24 hours ahead of our flight to remind us to check in. When you are a frequent flier like us, this is an excellent perk. We often have the opportunity for seat upgrades and being first to check in helps us secure the best seats. If we happen to have terrible seats, we can set an alert in the seat tracker to let us know when other seats come available. We can beat other people to the punch. Just yesterday we checked in for a flight only to find there were no seats available together. We set up a seat tracker alert and within a few hours TripIt let us know that two seats became available. We knew before anyone else, so we went to our flight and changed seats. Even when we land TripIt is there to help. We don't have to check the monitors to find out where our bags are, TripIt lets us know where to go. I love making my travels easier and more relaxed. Travel shouldn't be stressful and the TripIt app helps make everything easier. When you travel as much as we do, it helps to have all your travel plans in one place. Sure we could use a Google calendar, but that calendar doesn't tell us our flight details, times, terminals and gates or any of our hotel information. TripIt puts it all in one place and we can check it anytime anywhere. This article is in partnership with TripIt but like everything on Marketingkonferenz, we would never endorse or recommend something if we don't use it and love it ourselves. 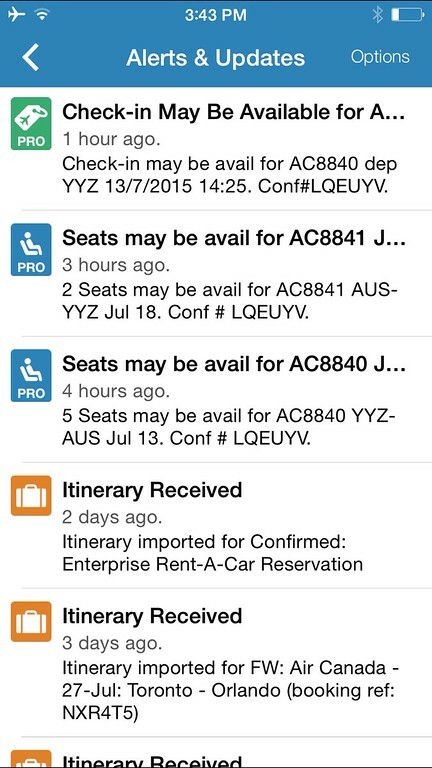 7 Responses to "How the TripIt app Makes Your Travels Easier"
Great profile of TripIt! We’ve been using this religiously since May, 2009 – a few weeks after they launched their first smart phone app. During the past 6 years, TripIt has captured and cataloged 91 trips for us, and all of it is available online to look back on and reference. Beyond the automated features, we manually enter a LOT of stuff that may not have an email confirmation – restaurant reservations, activities we’ve booked, etc. One of the great features is the simple Notes option. We will enter lists of restaurants we’ve vetted, or things to do, or info about Visa requirements – just about anything we have researched about a trip ahead of time that we want to have at our fingertips while we’re traveling. One more note – most of our travel is outside the US, and all of the data stored in TripIt can be accessed without an Internet connection. This is a huge benefit. Thanks again for posting this great review! I had an experience in a connecting airport where my gate was changed 4 times after I arrived at the airport from my first flight. I didn’t find this out until I arrived at each gate and then had to go to another gate. They were far apart and I had to take shuttles for some of the changes. TripIt sure would have helped here. 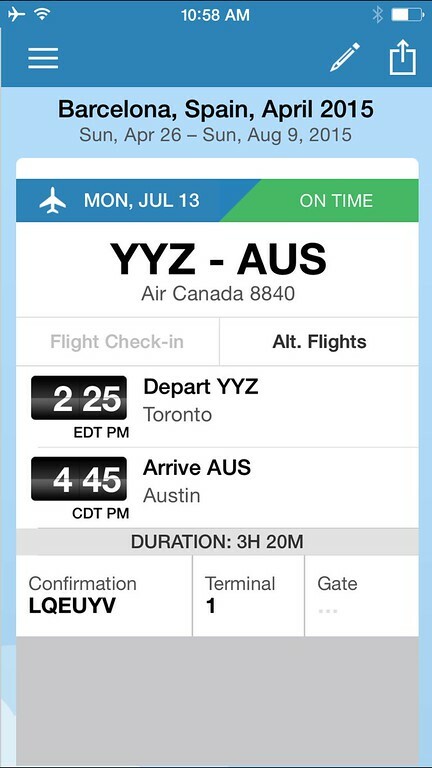 I use Passbook on my iPhone which is great, but by adding TripIt to my apps, they will work well together. I am always looking for apps to make traveling easier. Why not take advantage of the age of technology. That’s the worst! We’ve had stuff like that happen too. It’s great to have a heads up in advance. I have to say, we’ve saved a lot of time with TripIt. We’ve been sitting in the lounge listening to the flight attendants talking when we’ve already received a flight delayed message from TripIt and the staff doesn’t even know yet. I’ve heard them a good 5 minutes after our alert finally say, we just got notice that the flight was delayed. I wanted to say to them, I already knew that! Hey Dave, It seems to be a very useful app. I must use this while travelling to hilly areas. Thanks for sharing this wonderful app. Oh, I like the look of this. I’m so stuck in my ways I still have a wad of printed documents and a Word document on my laptop! This is for you then Airanwen. I tend to be stuck in my ways as well, things have to be really simple for me to make a change and this app is simple. Hope you give it a try!